Antihuman, a spellbinding sci-fi horror film that knits Orphan Black with the Resident Evil franchise, premieres on US VOD this October from Wild Eye Releasing. A young woman returns to the secluded, abandoned psychological research facility where her deceased mother once worked. Accompanied by three friends, she discovers that the ghosts of the past have found their way to the present when the hospital's legacy of experimentation and madness tears away all known bounds of time, memory and space. Anya Korzun, Danielle Arden, Andrew Jardine, Katie Keight, and Kathryn Goldsmith star in a film by Luke Gietzen and Mark Robins. 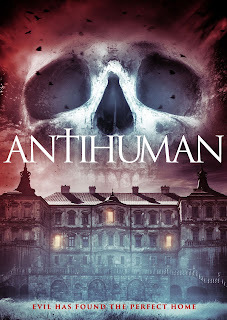 Antihuman is now available from US VOD outlets from Wild Eye Releasing.